My research interests lie at the intersection between the natural and social sciences. I try to find ways to use social science to ensure more successful conservation and to use ecological methods to study human behaviour in novel ways. 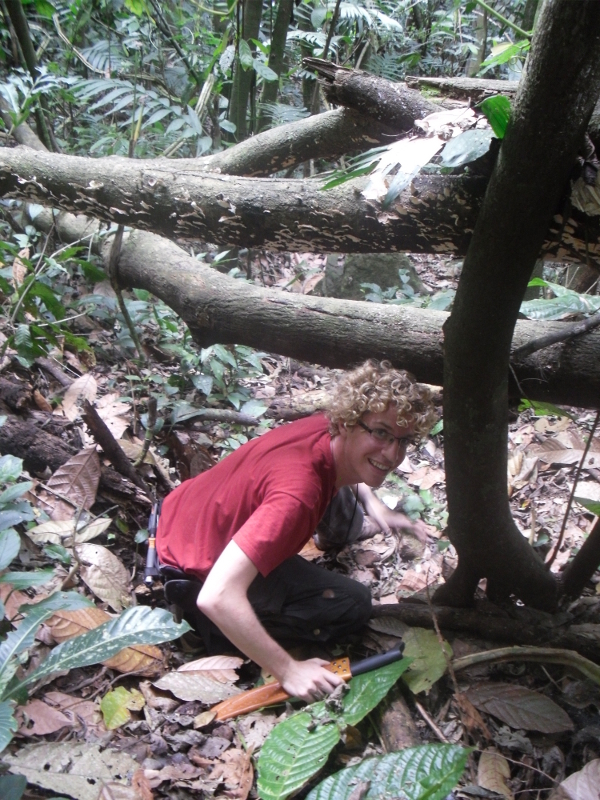 I worked as a research assistant in Norway (lynx) and Costa Rica (ecosystem services) before carrying out my own research projects in South India (developing guidelines for minimising human-snake conflict, based on combining ecology with the traditional knowledge of the Irula Snake-catching Tribe) and Taiwan (ecosystem service provisioning in agro-ecosystems). I obtained my masters degree from the London School of Economics (studying environmental policy, economics, law and development) to gain more understanding of the human and societal side of conservation. My master’s research investigated the perceptions of environmental justice by stakeholders in the Norwegian carnivore policy (indigenous reindeer herders, sheep farmers and environmentalists). In my current research I’m investigating the determinants of attitudes and perceptions of lions in Zimbabwe, and I am also using economic valuation and happiness economics to estimate the impact of living alongside large carnivores on local communities. The use of economic valuation allows quantification of the full costs and benefits associated with living alongside these top predators, including intangible costs such as fear, which are normally unobservable and unquantifiable. Macdonald, D.W., Jacobsen, K.S., Burnham, D., Johnson, P.J. and Loveridge, A.J., 2016. Cecil: a moment or a movement? Analysis of media coverage of the death of a lion, Panthera leo. Animals, 6(5), p.26. Trouwborst, A., Blackmore, A., Boitani, L., Bowman, M., Caddell, R., Chapron, G., Cliquet, A., Couzens, E., Epstein, Y., Fernández-Galiano, E. and Fleurke, F.M., 2017. International wildlife law: understanding and enhancing its role in conservation. BioScience, 67(9), pp.784-790. Jacobsen, K.S. and Linnell, J.D., 2016. Perceptions of environmental justice and the conflict surrounding large carnivore management in Norway—Implications for conflict management. Biological Conservation, 203, pp.197-206. Macdonald, D.W., Loveridge, A.J., Dickman, A., Johnson, P.J., Jacobsen, K.S. and Du Preez, B., 2017. Lions, trophy hunting and beyond: knowledge gaps and why they matter. Mammal Review, 47(4), pp.247-253. Jacobsen, K.S., 2014. Snake Conflict-Mitigation in India: The knowledge of the Irula Tribe. Asian Affairs, 45(1), pp.108-111.